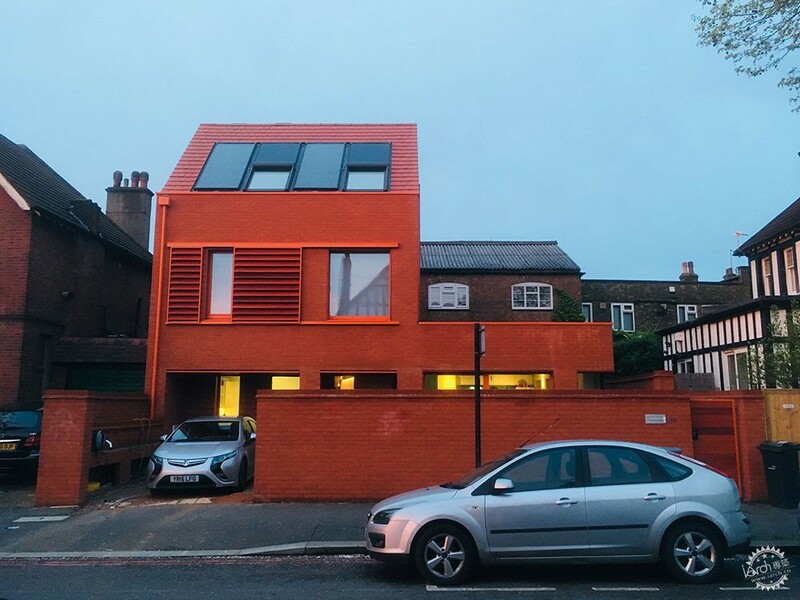 Architect Chris Moore has built an environmentally friendly home with bright orange walls in south London, which has become controversial after being shortlisted for this year's Carbuncle Cup. 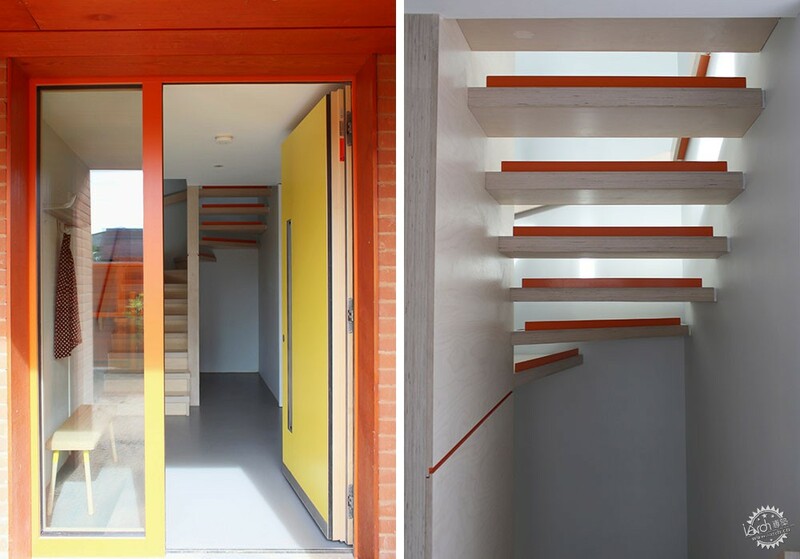 Moore, one of the three founders of Pace Jefford Moore Architects, designed his distinctive three-bedroom house to meet Passivhaus standards, which are awarded to buildings that are extremely sustainable. 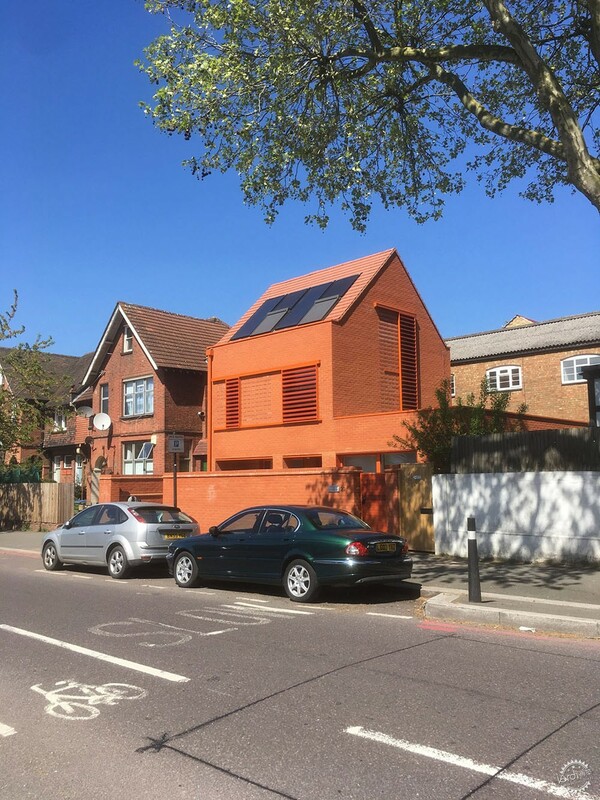 The house became a talking point last week after being named on the shortlist for the Carbuncle Cup – an annual competition organised by architecture website BD to find the worst buildings in the UK. 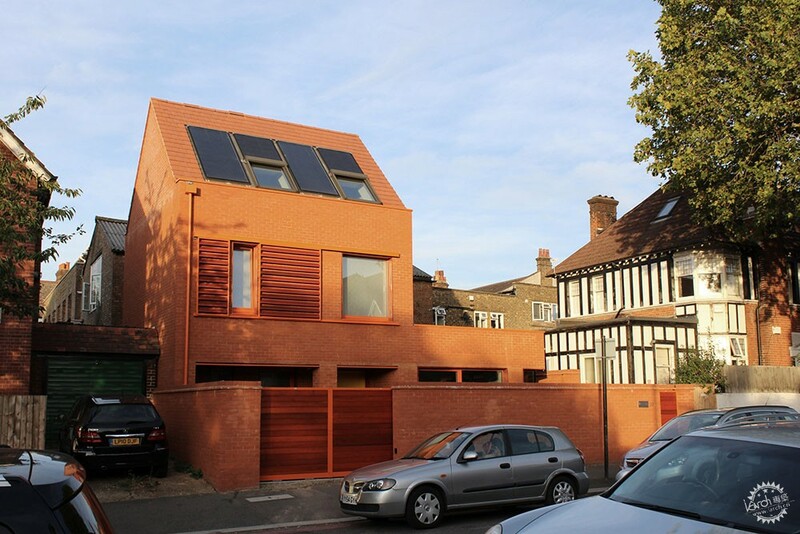 The mono-tone house is entirely constructed from orange brick, with louvred shutters, window frames and drainpipes in the same colour. 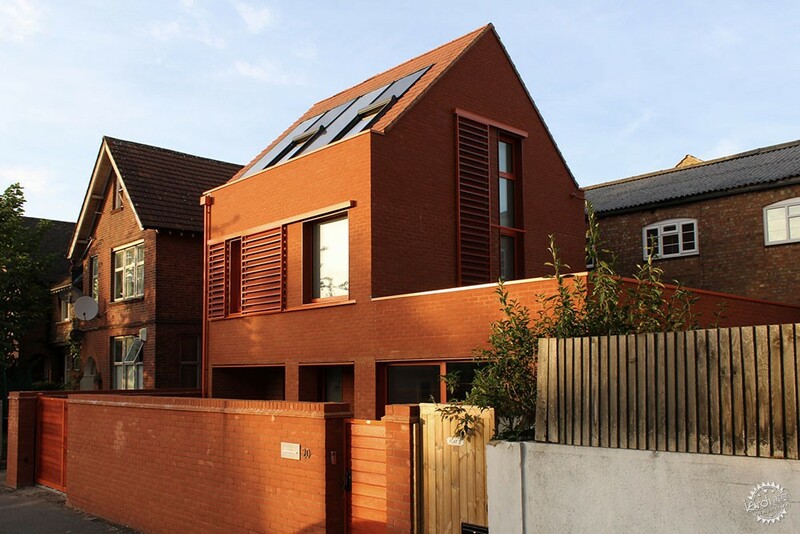 Moore choose the material and colour to complement the existing houses on the street, which is typified by large detached and semi-detached Victorian homes built from red brick, with half-timber cladding. 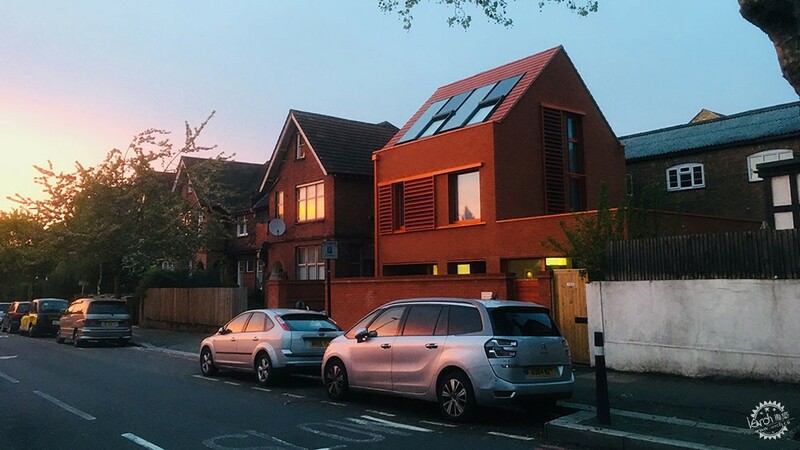 "The colour of the brick was chosen in relation to many of the homes in the conservation area that feature a similarly vivid hue, albeit hidden under accumulated exhaust fumes," Moore told Dezeen. "What has made this far more remarkable is the complementary orange that we have selected for all the windows, rainwater goods, louvre frames, etc," Moore continued. 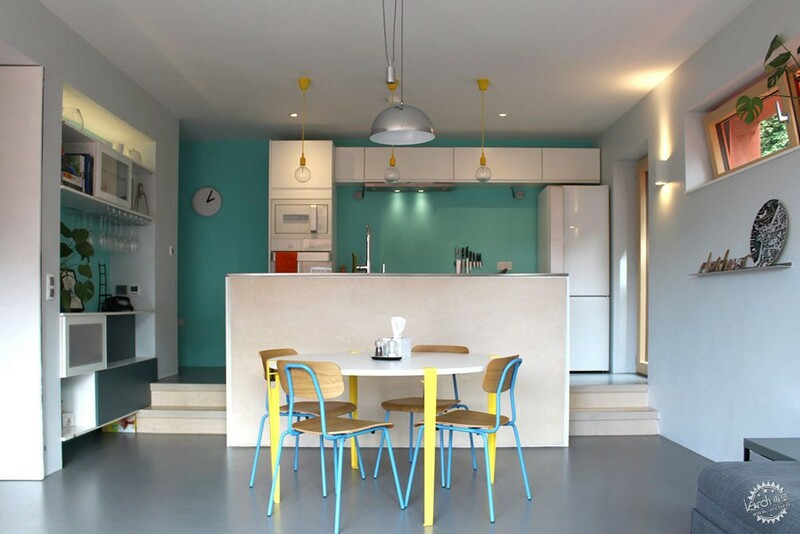 "At the time we were designing the house we felt that treating all these disparate elements in multiple finishes would risk cluttering up its appearance." 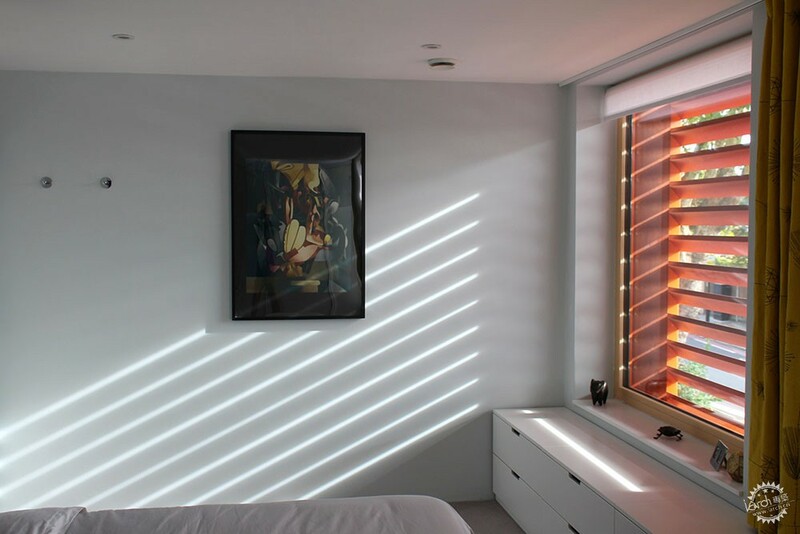 "Given the almost single-aspect nature of the site, we were keen to bring natural light in to as much of the plan as possible," said Moore. 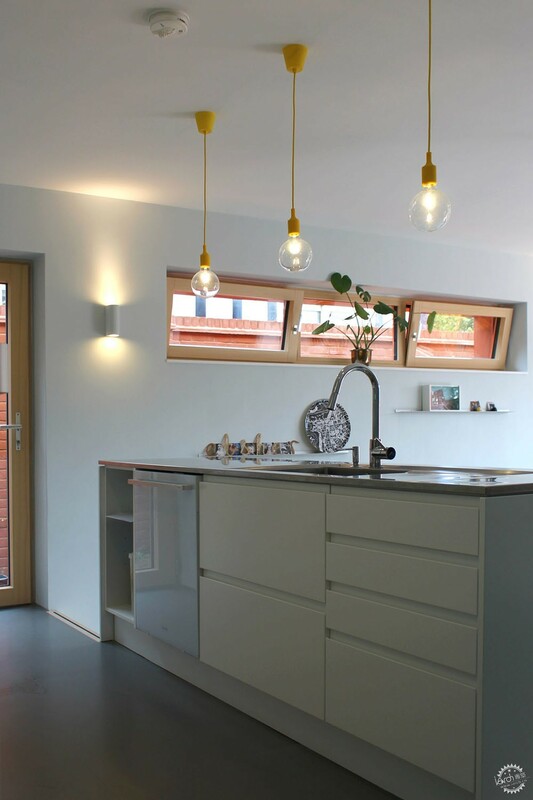 Tackling the issues of light and overlooking was balanced with the desire to build a sustainable house that would meet Passivhaus standards. 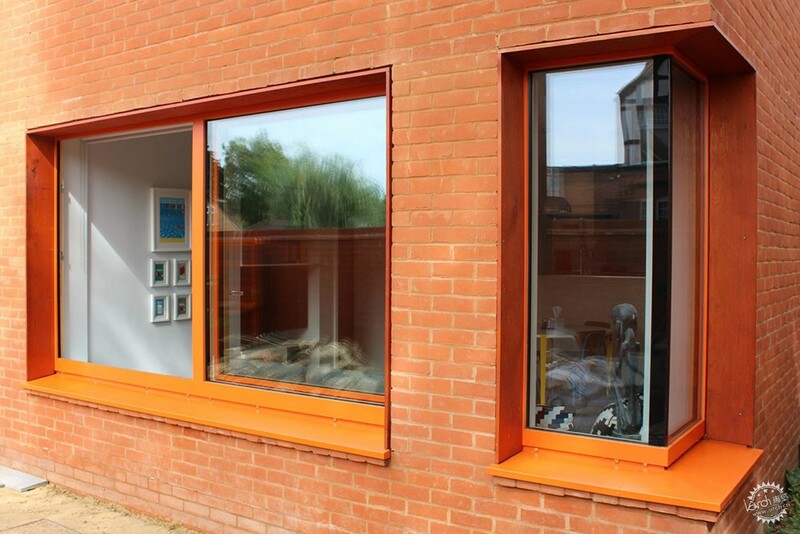 "I felt it might be a challenge to balance the demands of the site restrictions with our aim of achieving Passivhaus certification," said Moore. 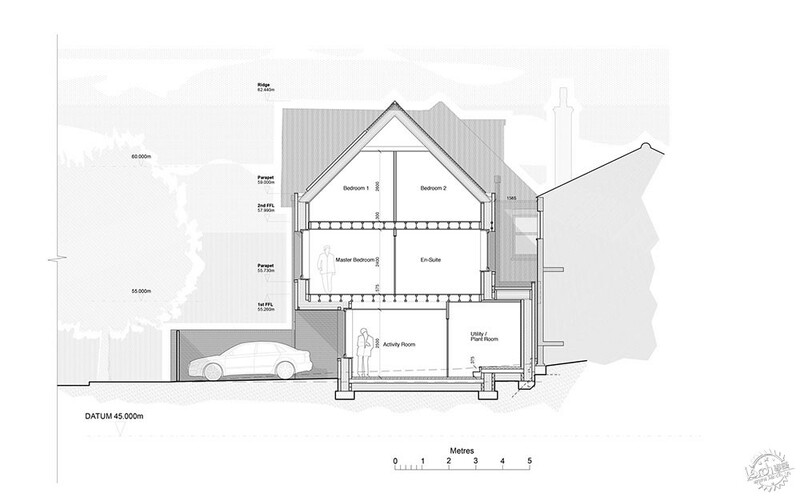 "Thankfully the orientation of the house is favourable and our initial designs proved we could meet both goals." 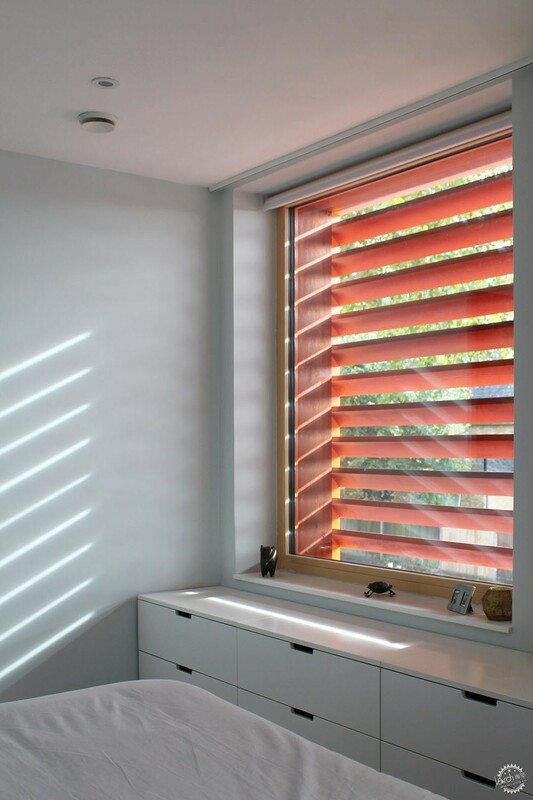 Windows on the house's upper levels are equipped with automated louvred shutters that are remotely opened and closed, to regulate the home's internal temperature. 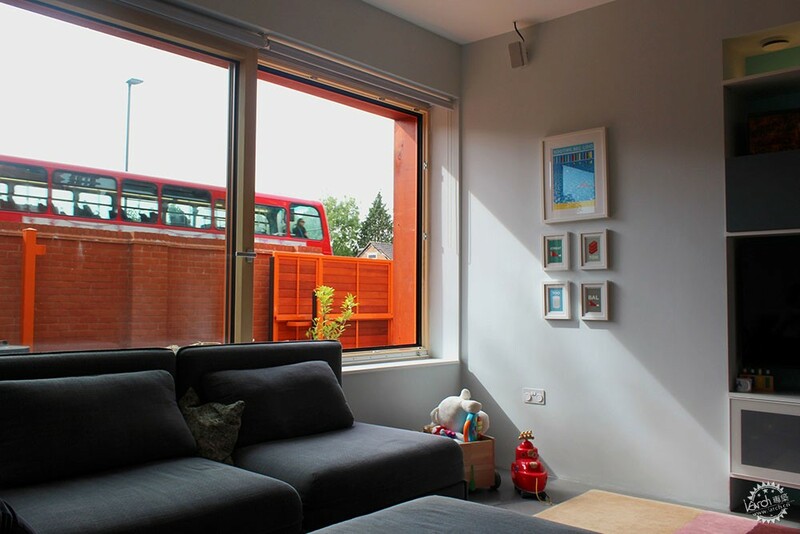 On the ground floor the windows are shaded from the sun by a pergola and recessed porch. 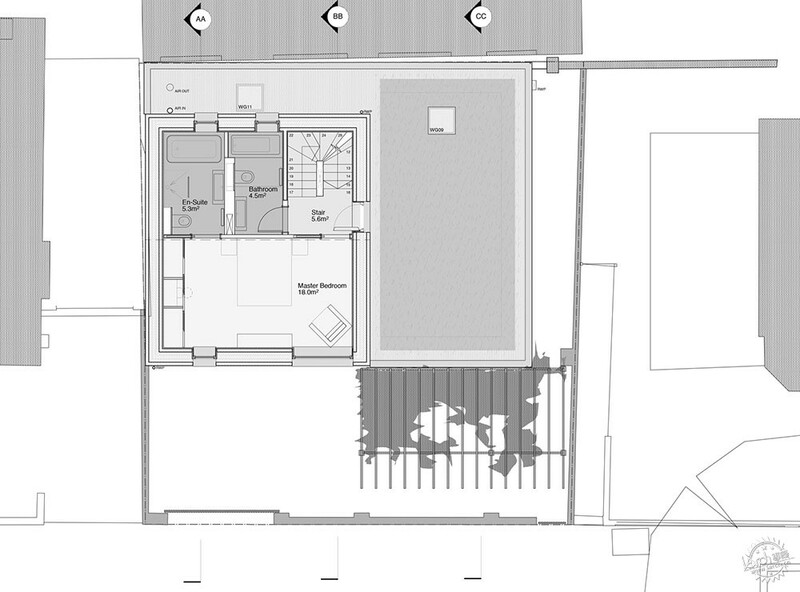 The house's ground floor is divided by a central staircase, with an open-plan kitchen and living space occupying one half of the plan and a workshop on the other. 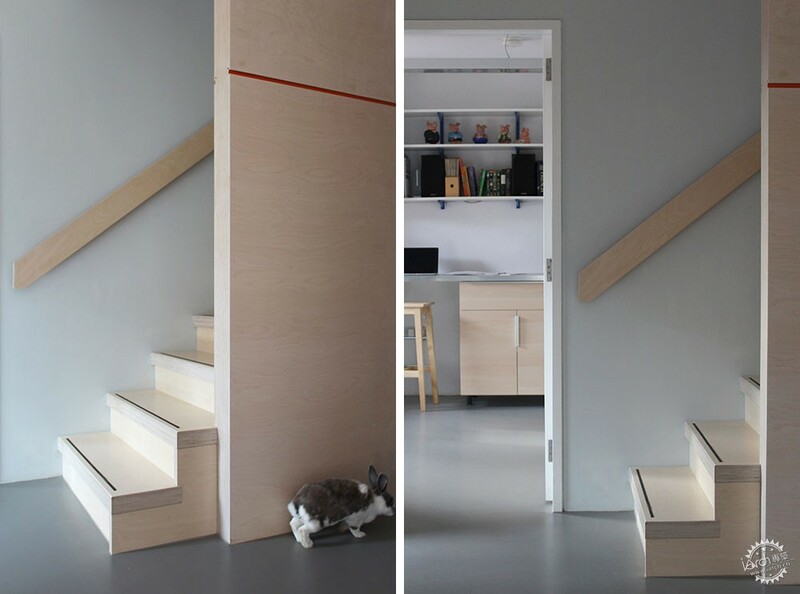 This bespoke plywood staircase, which is lit by a double-height window to bring further light into the building, leads to the master bedroom with a en-suite bathroom on the first floor. 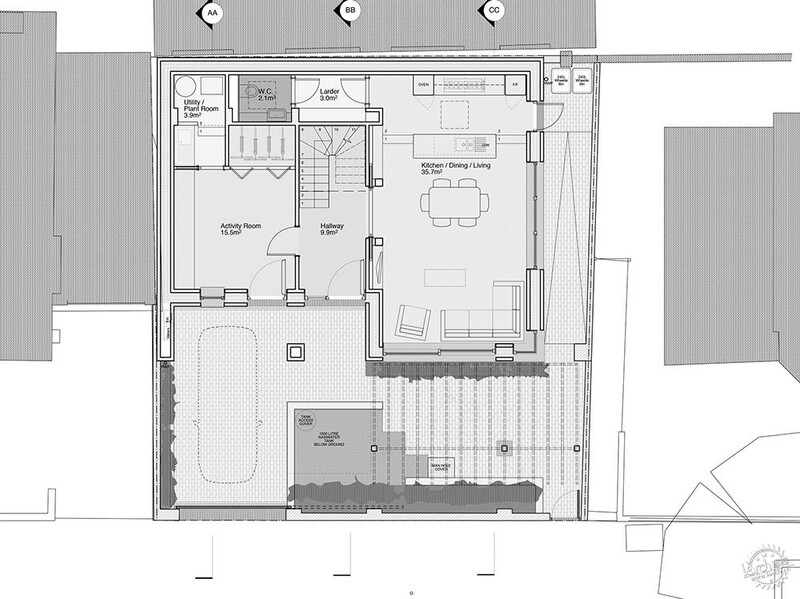 Two further bedrooms are in space under the pitched roof. 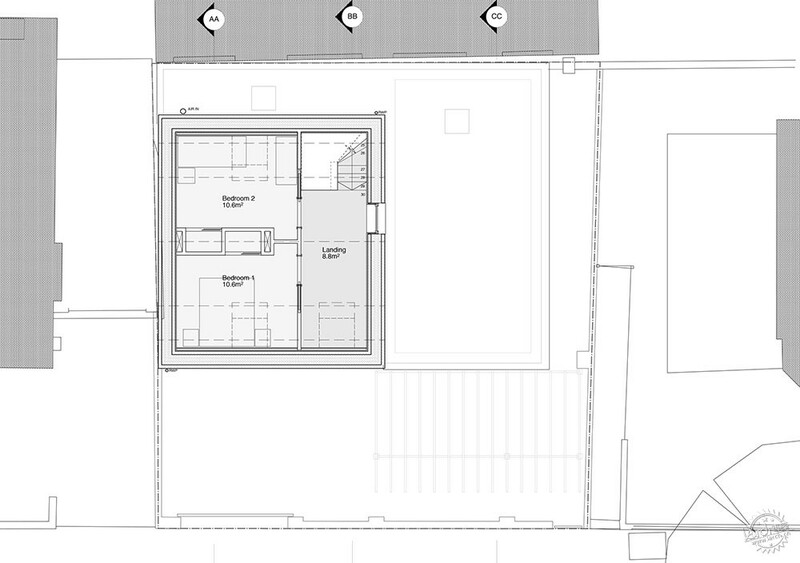 Along with skylights, this roof has an array of solar panels and hot-water heating panels. The project was one of six projects nominated for the Carbuncle Cup 2018, which was eventually won by Redrock Stockport, a leisure complex in northern England designed by BDP. 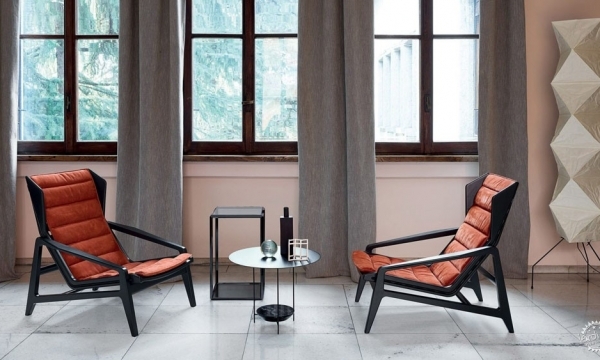 It is one of a handful of one-off houses to be nominated for the prize in its 12-year history. 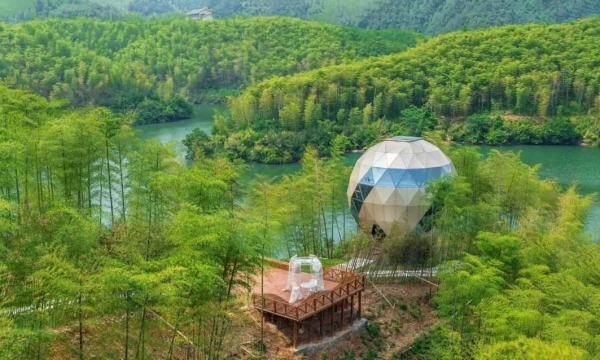 Other recently completed Passivhaus properties include a larch-clad house in the Paris suburbs and a black cedar-covered house in a Utah forest.